NSF to PST Converter gives users an easy and reliable solution to convert lotus notes to outlook. With its exclusive features and bulk database migration capability, it is a complete tool to export data from NSF to PST file within few clicks. Preserves Original Structure of the NSF File in PST File. Outlook and Lotus Notes Installation Required For Export. Lotus Notes shouldn’t be connected to Domino Server. New PST file created if lotus notes data Exceeds 20GB Size Limit. Converts encrypted NSF Messages into Outlook PST File. Migrate Email data in ‘All Documents’ Folder of NSF File. Migrate Notes to Live Exchange Server with Technician License. Current status, final Status Report Generated on Screen. Internet header and Email Formatting is kept as it is. The trial version of NSF to PST Converter to Migrating 16 items per folder only. Its files are used to store collection of emails. The emails are stored in the form of continuous strings, starting from the "From" Lotus Notes is a database system having built-in emailing functionality. It uses .nsf file extension to store its database. It is an application suite that shares and locates data across a server called Domino. It provides a single point access to emails, contacts, calendars, tasks, web browsing. Email is just a part of Notes and hence is expensive for users interested only in emailing. Outlook and Exchange Server collaboration has better disaster recovery options. 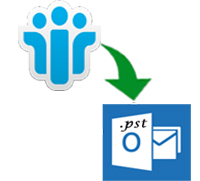 Therefore, to access Notes mailbox in Outlook, there is need to convert Lotus Notes to Outlook PST files. Why Is It globally Accepted? It is a relief to all the Lotus Notes users wanting to switch to Outlook. The software has a unique range of features and holds the capability to completely export NSF file data to PST file. Can I avail the trial version of the NSF Converter utility to check its working? 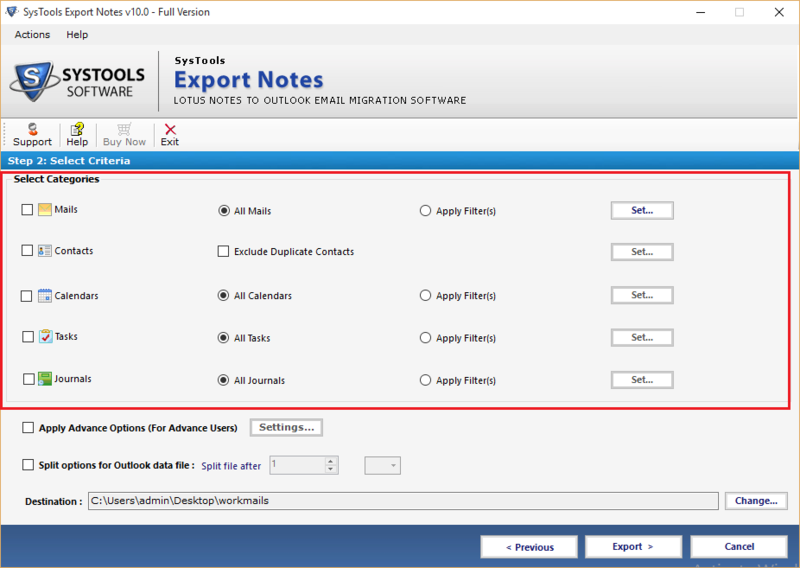 Yes, you can certainly avail the free-of-cost demo edition of the Export Notes tool to test its functionality. But the limitation is that the size of the NSF file must be 500MB or less. 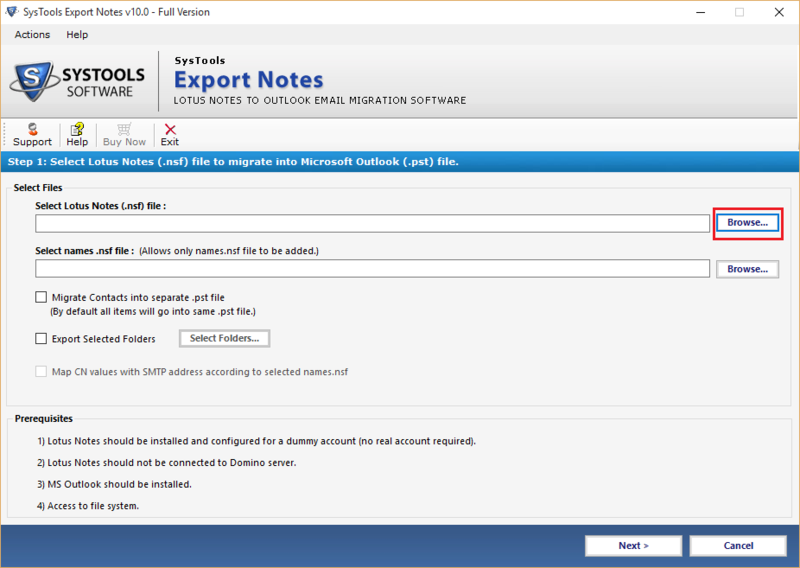 Does the Export Notes software application support conversion in any other format except Outlook PST? No, the tool only transfer from NSF to Outlook PST format which is the most popular and widely used. Can I Move NSF file into PST and directly move it into live Exchange server? Yes, you can certainly move NSF database to PST and move directly into live server environment. However, either the Enterprise or license Technician should be used for it. "For moving mailboxes of around 250 users from Lotus Notes to Outlook, I couldn't get a better solution than this NSF Converter software. So many features and efficient performance." 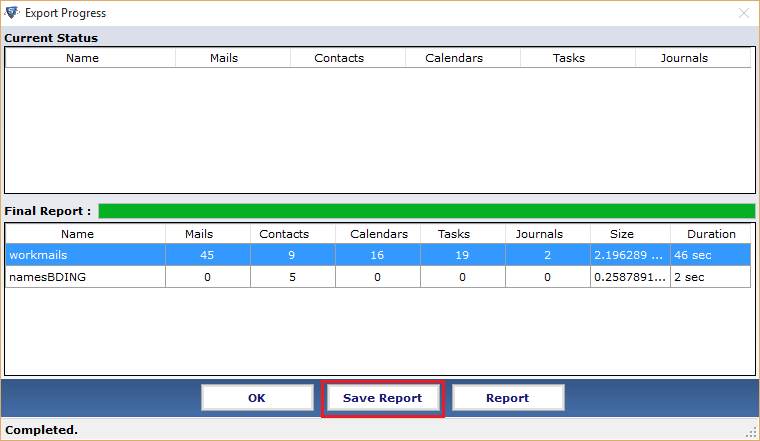 "Import NSF to Outlook with a bunch of customization options. I assume that this will not be available anywhere except this migrate from NSF to MS Outlook utility. Definitely a tool valuing investment."